Read Across America is celebrated annually in most schools in America. Theodor Seuss Geisel, better known by his pen name Dr. Seuss, was a writer and cartoonist of many books for children, including “Cat in the Hat” and “Green Eggs and Ham.” His books are read, reread, and loved everywhere! 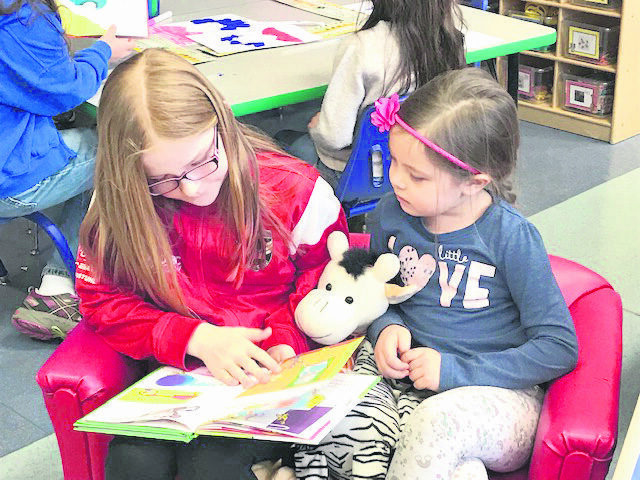 Allaina Creaver, 5th grade, (right) and Lianna Polidor, Kindergarten, (left) read a book together. 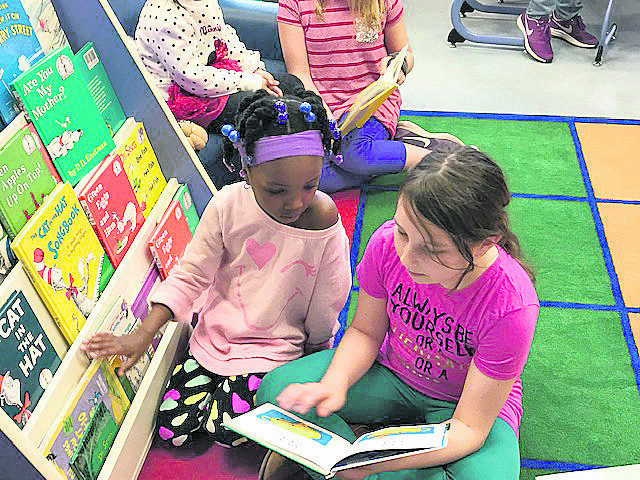 Elizabeth Donmoyer, 5th grade (left) and Kira Carpentier, Kindergarten, (right) enjoy a Dr. Seuss book.